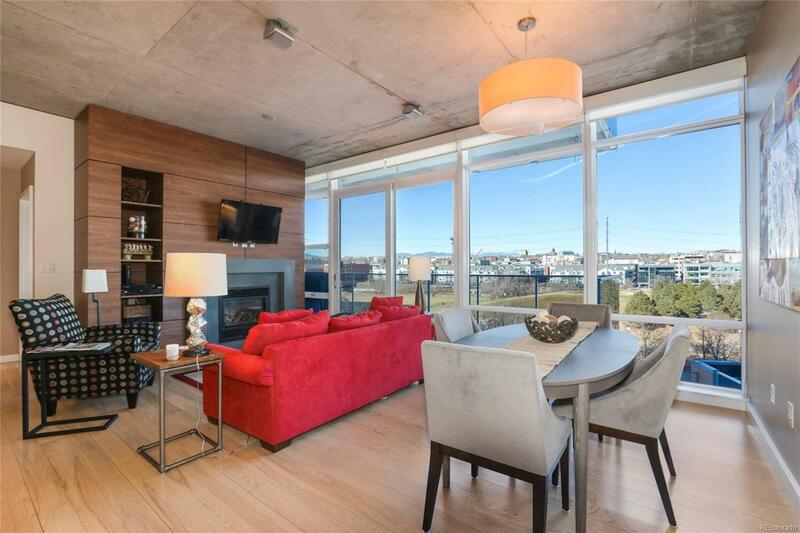 Impeccably maintained two bedroom condo on the West side of ONE Riverfront. This home has beautiful views of Commons Park and the mountains. A wonderful floor plan where the great room separates the bedrooms with huge windows allowing natural light to flow through this home. Luxurious finishes include ash hardwood floors throughout home, European style cabinetry with glass upper cabinets, caesarstone counters, Jenn Air appliances, wine fridge and fireplace. The master suite has a spacious five piece bathroom with deep soaking tub and frameless glass shower along with a large walk in closet and electronic blinds. Rare opportunity to purchase on the West side of this incredible building. This home is perfectly located in Riverfront Park and is walking distance to Union Station, public transportation, Whole Foods, restaurants, shops and all Denver has to offer!